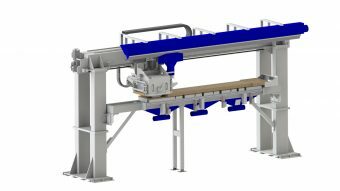 The Becker MSPB multirip saw in portal design is intended for multiple cross cutting of individual panels or stacks of panels. One common application is the production of square timbers made of B-quality panels. With the appropriate tool set, it is even possible to create banding grooves at the same time.